What I love the most about the sound of rrose is the ability to create a nearly hallucinatory experience in which I find myself completely lost, with only a distant rhythmic pillar to hold on to. And what I love the most about the sound of Lucy is the constant pushing of boundaries within an evolving genre, where the structure begins to melt and only the essence remains. 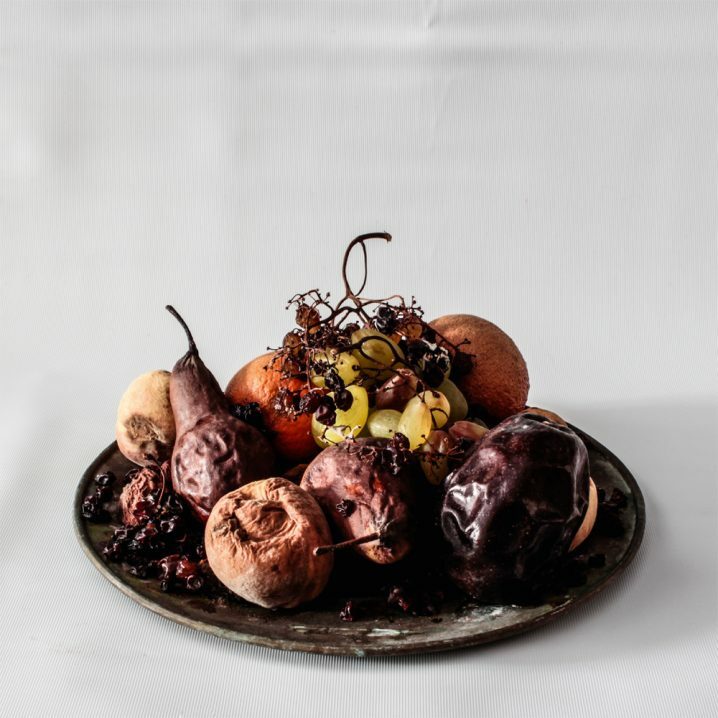 The two artists have previously come together for a four-track EP they titled The Lotus Eaters released on Luca Mortellaro (that’s Lucy) trend-setting Stroboscopic Artefacts imprint. It is now clear that the duo and fans alike really enjoyed their collaboration, and so, in 2018, the two returned with a 10-track (new pieces) full-length release, under their newly assumed The Lotus Eaters project name, titled Desatura. If you’re familiar with the output of the above (or the fantastic catalogue of the label), then you’ll be in for a treat, as your expectations shall be met and definitely exceeded. Over the course of nearly an hour, Horvitz and Mortellaro weave in exceptionally detailed and highly textured auditory illusions that play tricks on the mind if you try to hold on. But let yourself go, and be sucked into a bleak, dense, and warm universe of pulsating analogue phantasmagoria where each environment is carefully prepared to carry you deep into nothingness from whence you’ve come. Active listening experience will reveal complex “sonic objects which can be rotated and viewed from multiple perspectives.” An exciting and indeed profound new direction of techno, if one can even name it that, projected through the hands of these two pioneers. A must for every fan of modular abstraction and fans of an intense, cerebral, mental trip. In a world of saturated synthesizer music, it’s hard to find a gem that truly shines. There is a whole wide slew of modular synthesis experimentation turned music, to showcase the engineering behind each crafted sound. But unless you are the almighty deity of all that is modular, like Richard Devine, or the architect of a complex chaotic universe, like Autechre, then, what we call “synth music”, may often fall right through the cracks. A lot of it seems overly abstract, a bit too noisy, and reeks of one-off rapid death of ghost in the machine. But what about those truly musical arpeggios that draw you into yet another world, as you sit there in the dark and slowly turn the knob on that beloved filter or adjust the slides of the ADSR envelope? Do you remember all those special moments? [Of course, you do!] 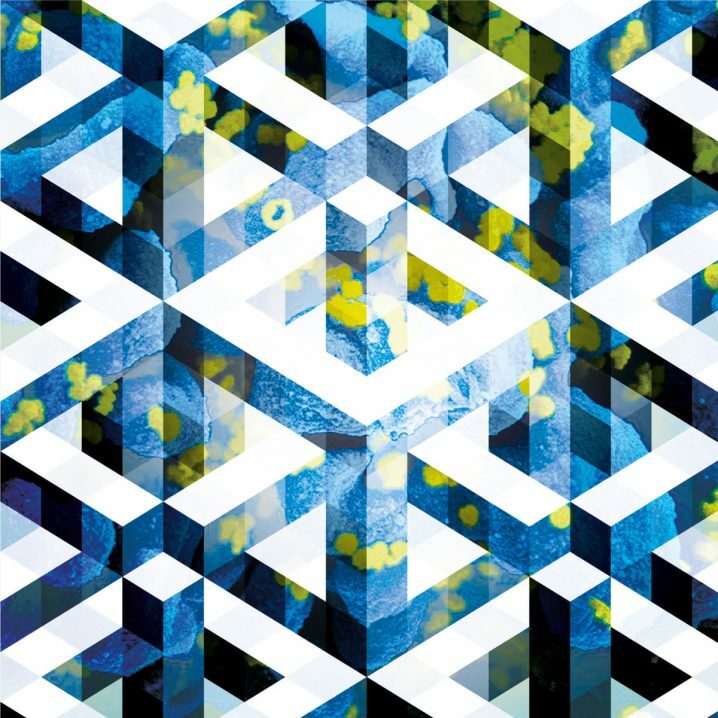 Enter the oceanic tapestry of sound with Bluetech‘s Liquid Geometries, where a kaleidoscope of intertwining harmonies is in a perpetual and perfect fluid dance with all the neurons in your brain. Forget the wild ASMR – before this latest [fascinating] trend, we’ve had “synth music”, where all of its neatly sculpted beauty triggered the auditory-tactile synesthesia which you didn’t know you had. Put on this latest record by Evan Bartholomew and drift into the sweet abyss. “Liquid Geometries sees him exploring shifting, fractal landscapes of melodic, sequenced lines using a huge range of analogue modular synthesisers. […] These benefit from repeated, deep listening as there are so many details and interlaced patterns that will reveal themselves over time.” Fans of textures, analogue, and DSP should find themselves in Eden [as did I] where Bluetech reigns behind the organisms he bears. Highly recommended! Mike Cadoo is not new to these pages. After all, he is the driving force behind the influential Oakland-based n5MD label. 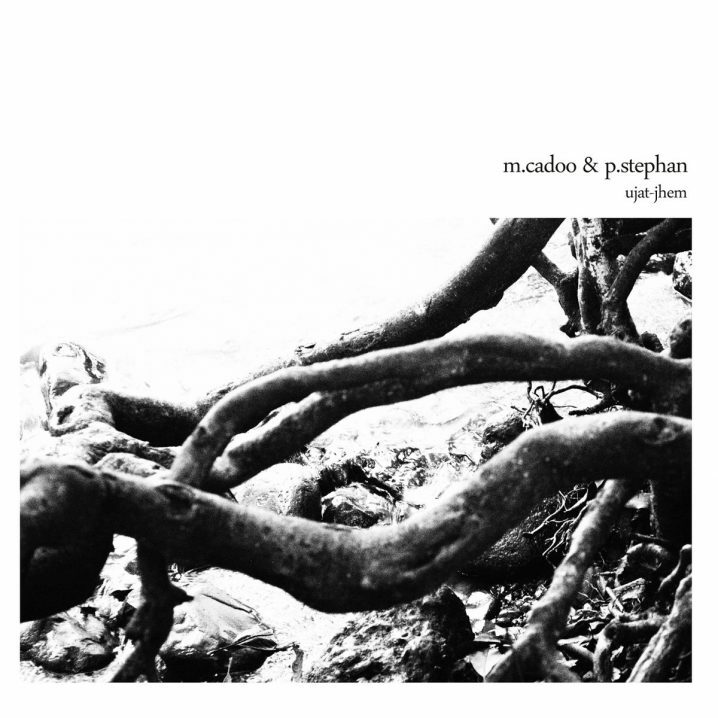 I have followed Cadoo’s work as both, IDM infused Dryft and guitar-driven Bitcrush, so it is with some curiosity that I approach his newly devised project with Paul Stephan (aka Xoloder), of whom, I must admit, I haven’t heard before. Their collaborative release, uhat-jhem, consists of eight experimental pieces, approaching on post-metal drone, dark ambient, and dark sub-basement music. Distortion and noise ripple through the rumble of this industrial landscape, creating environments subtle but dense. The sounds are cold but inflamed by the fire that stems from the crater where nightmares are born. The composition effort involved a collection of sound textures by Stephan, to be layered upon with Cadoo – a process they have resurfaced since their roommate days, which is still remaining on some dusty forlorn tapes. The new album “became less of an idea but an ethos to bend, rebend, mangle and strain every sound to its logical yet musical limit that became the entity that is ujat-jhem.” Recommended for fans of Lustmord, Northaunt, and Sleep Research Facility.